It seems that foldable devices could be the upcoming trend in smartphones segment and Xiaomi doesn’t want to miss the opportunity. Many of the renowned smartphone manufacturers like Huawei, LG, Motorola and Apple have started working on this concept and already filed the patents for foldable devices. From a couple of months, it has been rumored that Xiaomi is working on a foldable smartphone which is scheduled to launch later this year. Xiaomi's president, Lin Bin has officially announced that the company is actually working on a “double folding smartphone". The company president has shared a video which by showing a concept phone of Xiaomi's upcoming foldable device. The name is clearly indicating that the foldable smartphone can be folded from both the edges and it features a unique symmetrical double-folding design. Due to double- folding design, users would be able the mode from tablet to a smartphone as per their feasibility. Xiaomi would use an optimized version of MIUI in its upcoming foldable device which smoothly convert the content as per the mode availability either tablet or smartphone. As per the Lin Bin Weibo post, it is confirmed that the Xiaomi foldable smartphone is coming but further he added that the device has been currently in the development phase with the engineering team. 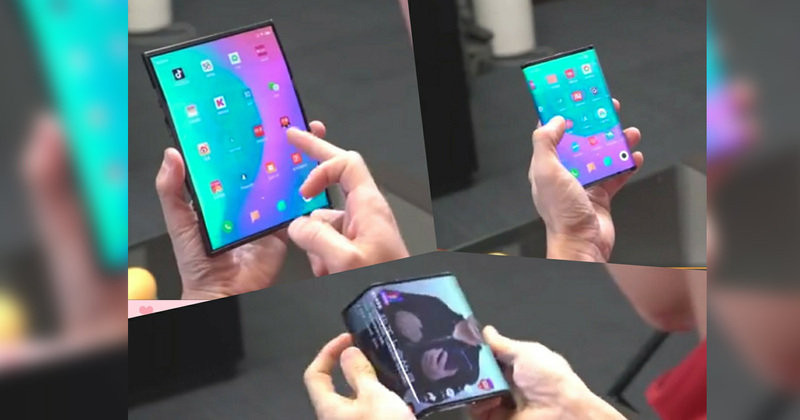 Initially, the company would get the response or interest of the concept foldable phone from experts team and then consider to launch as mass production. We don’t know what Xiaomi would give the name to its upcoming foldable smartphone but Bin added that ‘Xiaomi Dual Flex' and ‘Xiaomi Mix Flex' are the two names on his mind. The detail information regarding the foldable smartphone such as hardware, launch date and price is not available at the moment. The rumors that Xiaomi is working on a foldable smartphone was initially surfaced on the internet in July in the previous year.